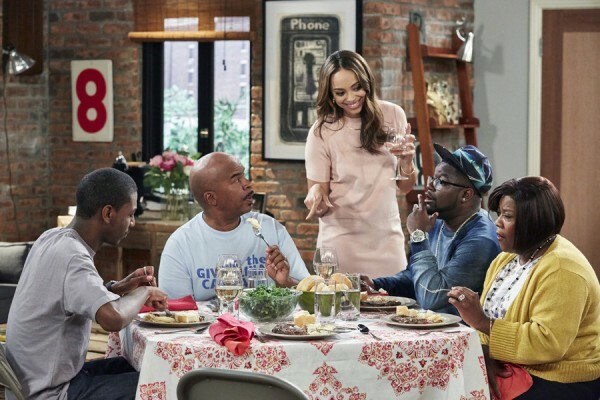 These days cable seems to be where you got to find really edgy topical comedy, so it’s pretty bold for NBC to be airing The Carmichael Show. Comedian Jerrod Carmichael plays a man who just had his girlfriend Maxine (Amber Stevens West) move in, and she’s just getting to experience the lively arguments Jerrod has with his parents (David Alan Grier and Loretta Devine). Movie writer/director Nicholas Stoller created The Carmichael Show with Carmichael, and I got a chance to speak with him by phone on his very last free day before filming Neighbors 2: Sorority Rising. 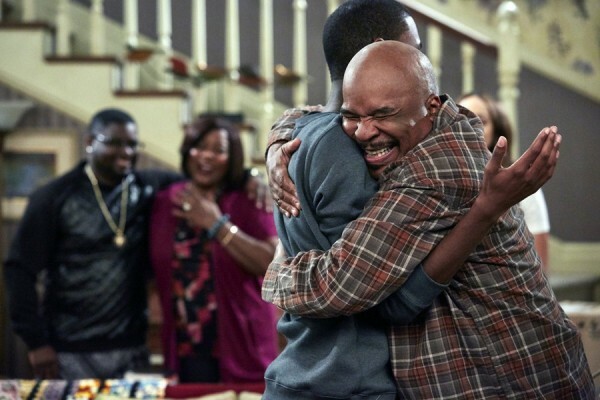 The Carmichael Show airs Wednesdays nights at 9 and 9:30 on NBC. Nerd Report: How did you pick Jerrod Carmichael from obscurity and decide to make him a star? I’m joking of course. Nicholas Stoller: I can’t take any credit for it. He was a rising comic when he auditioned for Neighbors. But I will take credit. No, he was already a rising comic. I didn’t know who he was to be fair and he came in on the audition, he just had a great vibe. His audition was really funny but he also really popped and he just is a great guy and that comes across both in the movie and in his audition when I met him. And he’s just a hysterical comedian with a real take on the world. All of that attracted me to working with him. Nerd Report: With both Carmichael and The Grinder premiering this year, were you looking to get into television? Nicholas Stoller: I’ve always dabbled with the idea of getting into TV but I came to the conclusion that I would only get into it if I had partners I really creatively loved. Jerrod, I just became obsessed with his comedy and obsessed with his take on the world. And then Jarrad [Paul] and Andy [Mogel] I’ve just found hysterical forever. We worked together years ago and when they approached me about this show, I was just like, “That’s a really funny idea and also right in their tone.” That’s why I ended up doing it and then both happened which is insane and I feel very lucky. Nerd Report: Were you ever considering directing either pilot? Nicholas Stoller: Not the Jerrod show because it’s multicam and that’s really different than what I do. I really wanted to direct Grinder but I couldn’t because of Neighbors 2, just because I’ve been writing the script and I couldn’t have taken the month and a half, two months off to do it. Fortunately, Jake Kasdan came in and really did an amazing job. He also had a ton more experience directing pilots so I was actually relieved that he took it over. 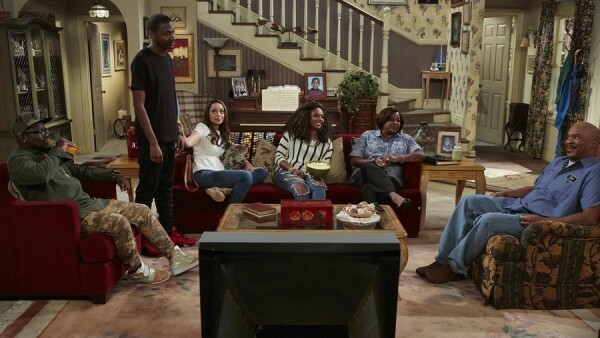 Nerd Report: Is there an unofficial format of The Carmichael Show where it always opens in their apartment with Jerrod and Maxine talking about something that leads into the topic of the show? Nicholas Stoller: I don’t think so. That just happens to be what a few of the episodes have started with but actually, I think even in the first six, there’s a few that don’t start that way. We’re always going to try to talk about something that everyone’s talking about, whether that be politics or religion or something. That’s what Jerrod’s interested in, that’s what I’m interested in, that’s what the writers are interested. That’s what we’re all interested in, but in terms of format, the only format thing we really want to stick to is having very long scenes. That, to me, is why you do multicam so you can have much more like a play. The idea of having three or four long scenes is intrinsic to the show. Nerd Report: When they’re non sequitur monologues like Jerrod talking about the quality of trash on the street, is that directly from his standup? Nicholas Stoller: That comes directly from his standup. Most of the show doesn’t, but that bit is directly from his standup. Nerd Report: What is the tricky balance when you’re dealing with issues and making it funny? Nicholas Stoller: The hardest thing is to tie the issue into something emotional so that you’re not being preachy. What you want is people to be engaged emotionally in the story. It’s actually very easy to be balanced because I certainly have my views, and we all tend to see everyone’s views on stuff. By “we” I mean myself, Jerrod… When you’re in comedy, you have to. But it’s figuring out what the emotional throughline of the episode is. If it’s just about “should I vote,” it’s kind of boring. But if you tie that into an emotional story like “I don’t want to tell my parents that you’ve moved in,” that’s kind of an easier way in for the audience. It might be able to shift as the audience becomes more familiar with these characters, but finding that very small emotional story has been very challenging, but when we find it, I think it’s rewarding to watch. Nerd Report: Like in the health episode airing this week, you’re not just talking about health. It turns out Jerrod is really worried that his father is going to die. Nicholas Stoller: Exactly. The story for that we figured out towards the end of the writing process, which was “should or should he not get a stent?” Just that became the story basically, but it took a little while to figure that out. Then once we had it, the whole thing fell into place, but before that, we always knew there was some kind of health issue with the dad, but it was zeroing in on what Jerrod’s feelings were about that. Nerd Report: Was casting David Alan Grier as the ultra right wing conservative intentionally against type? Nicholas Stoller: I think you’ll see as the series goes on too, he’s just kind of a contrarian. He’s kind of all over the place. The thing Jerrod said about his dad, it’s actually true of my dad too,is that he kind of just has weird views on stuff and he also is oddly open to talk about issues which is an interesting idea for a character that’s older. It certainly seemed interesting to us to have someone who is giving an unexpected view on whatever the issue might be. Nerd Report: But knowing David, did he enjoy making fun of people with different political views than his own? Nicholas Stoller: He seems to be having a really good time and he’s such a versatile actor and he’s just so funny that he can really make all of our insane things he says seem completely realistic as they come out of his mouth, which is kind of amazing. We’re trying to get to a layered nuanced character who just happens to have bizarre views about stuff. That’s our goal always. 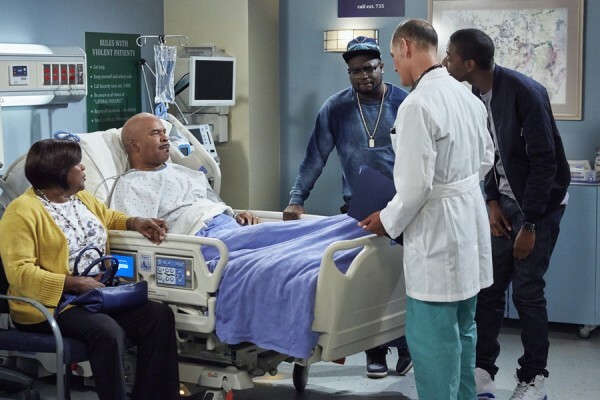 Nerd Report: The pilot and “Protest” have aired and I’ve seen the health episode. What are some other episodes coming up? Nicholas Stoller: There’s an episode all about prayer and religion which I’m really excited about. There is an episode about guns and then there is an episode about a character who turns out to be gay, and it’s an episode about that issue. Nerd Report: Guns would have been a hot button at any time. When you or Jerrod brought that script to NBC did they have any concern about going there? Nicholas Stoller: No, they’ve been very supportive. From the very first pitch, we were like to break through the clutter, we really have to be talking about real stuff. They were like, “Okay, we got you.” They never pushed back on any of that stuff at all. In fact, they really embraced it I think. They’ve embraced it in their marketing. They’ve embraced it up and down the board. The only thing that has ever been concerning to them is: is there an emotional way in for the audience? So that it’s not just about guns but it’s about something else in addition to that. So they haven’t been that concerned. My hope is that the show ends up being a weird mix of The Daily Show and Everybody Loves Raymond. For a while now, the ability to talk about these issues has resided firmly in sketch, whether it be Inside Amy Schumer, Key & Peele or The Daily Show. I feel like the sitcom is an emotional way to talk about this stuff which can make it more impactful because there’s a distance of those other formats I think. We shall see. Nerd Report: Is The Carmichael Show’s take on guns anything you have to worry about, currently being sensitive to what’s happened recently? 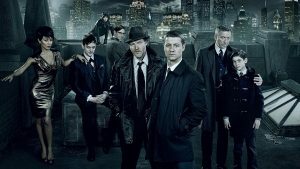 Nicholas Stoller: No, with all of these issues, we just try to take a hyper realistic take on it so it’s not like one of the characters is really anti-gun. I would say that the show is very realistic, which is that there are a lot of guns everywhere and that’s just a fact. How do we deal with it? That’s really more what the episode is about. I personally have very strong anti-gun feelings but I don’t watch that episode and feel offended. It doesn’t really take an anti-gun stance. It just states that there are a lot of guns around. Nerd Report: I’m sure since it’s a comedy it doesn’t begin with someone getting shot, but what’s the inciting incident? Nicholas Stoller: The inciting incident is Maxine finds Jerrod’s gun in his sock drawer and tells him he has to get rid of it. That’s how it starts and then every character has their take on guns. The goal with the show, not particularly with that episode, is if people are fighting with each other after they watch an episode of this show, then we’ve done our job. If everyone can take a different character’s side, that’s the goal I think, to explore these issues in as realistic a way as possible with as many sides as possible. Nerd Report: Are there any episodes that are, as Seinfeld would say, about nothing? Nicholas Stoller: Not right now. I don’t think so. It’s not that kind of show I don’t think. I even say with Seinfeld, that show is almost about getting really into tiny observation of human behavior and neuroses. That’s not exactly what our show is about. We’re trying to explore how people talk about all these issues in their daily life and how these issues effect daily life, like the health issue. I think it’s a really kind of amazing moment in that when Jerrod says to Maxine, “They don’t teach poor people how to eat well.” He’s really upset about that and I think that is a really interesting thing to talk about on a network show and hasn’t been talked about a lot. Nerd Report: With Neighbors 2, do you have a unique opportunity to make a sequel where you don’t have to reset, you can have Zac and Seth be on the same team? Nicholas Stoller: Yeah, exactly. I’ve never done a sequel before and it’s the hardest thing I’ve ever written. A group of us wrote it together but I think we’ve really figured something out that’s going to be very, very funny and satisfying to people who like the first one. Nerd Report: Well, you did a spinoff with Get Him To the Greek. Is that a different thing? Nicholas Stoller: Yeah, I guess that’s true. I did a spinoff. That, I kind of thought of the idea for Get Him to the Greek at the Sarah Marshall table read before there was even a movie existing. I realized it would be weird if they played different characters, so I made it a spinoff. You can look at that as an extension of the Sarah Marshall world but it really is its own movie I think. Neighbors 2 is very much a sequel to Neighbors 1. 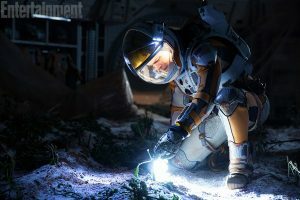 I would say, weirdly, the movies that speak to me the most about what we’re trying to emulate, are the Toy Story movies, in terms of it being all about growing up and getting older, how that’s sad and how it’s bittersweet. Nerd Report: So the characters from the fraternity are facing that now? Nicholas Stoller: They are facing that now, and Seth and Rose are facing a new version of that, and then there are a group of sorority girls who are just entering adulthood and are starting to see what that is about. It’s similar themes from the first one but a different story. Nerd Report: Does a sorority create a different kind of feminine chaos and noise than the fraternity? Nicholas Stoller: It’s much worse. Nerd Report: Of course, the sequel has to be bigger. Nicholas Stoller: It’s not bigger. It’s just worse. I watched a lot of sequels and one of the mistakes a lot of people make when they make sequels is making it bigger. I think we actively haven’t made it bigger. We want it to feel exactly like the same world, but we’ll see. Maybe we accidentally did. Who knows? Nerd Report: The Muppets are getting a new TV show. Did you have a third Muppet movie in you? Nicholas Stoller: No, I didn’t. I’m very excited that they’re getting a TV show. Jason and I and James Bobin have nothing to do with the TV show, but the reason Jason and I wanted to do The Muppets was hopefully so they would get to do a TV show again. As a fan, I’m just really excited to get to watch it. Nerd Report: Are any of your other screenplays close to getting made? Nicholas Stoller: The screenplay that I just wrapped is Zoolander 2. It’s me, Stiller, Justin Theroux and John Hamburg. I worked on that over 10 years, on and off, which is the longest I’ve ever worked on anything and it’s really, really funny. Nerd Report: How challenging is writing a sequel to someone else’s character and movie? Nicholas Stoller: It was weird because I would dip in and out of it. I’m about to celebrate my 10-year wedding anniversary and I remember working on Zoolander 2 a few weeks before my wedding. I guess in a way it was challenging but it’s also Ben Stiller’s baby. He’s directing it and he’s the artistic force behind it. On the one hand it’s hard, but on the other hand, I was just trying to help him shepherd it. Me and the other writers are trying to help him shepherd this thing to fruition. I think in a way the long gestation period has created something truly outrageous and funny and insane. Also the whole thing was shot in Rome so it’s going to look amazing. Nerd Report: Did you write the live-action Tinkerbell too? Nicholas Stoller: I wrote a draft of that. I’m going to be honest, I don’t know exactly what’s happening.